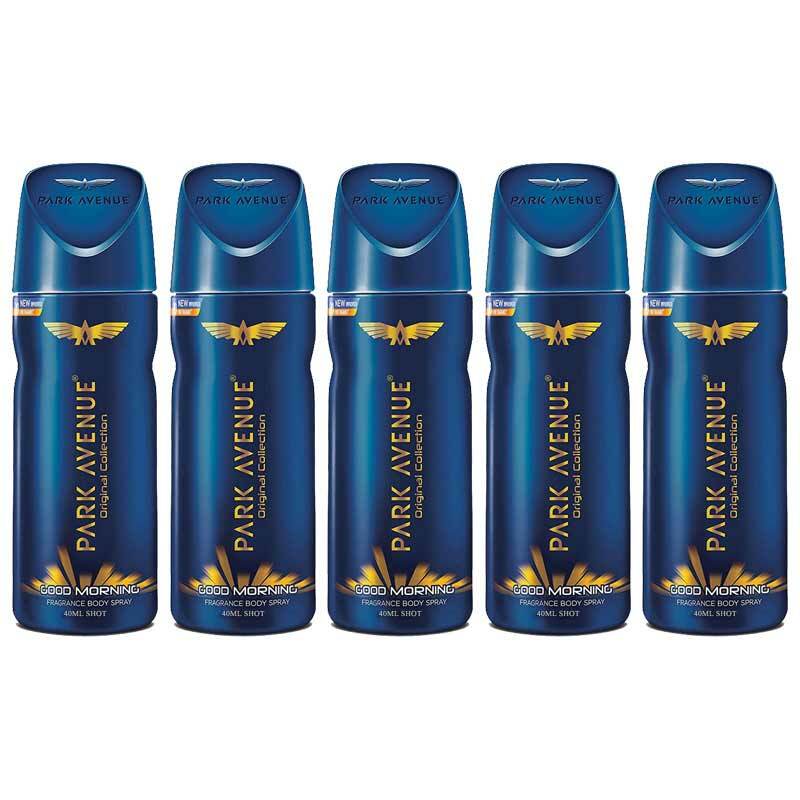 Park Avenue Park Avenue Good Morning Value Pack Of 5 Shots Deodorants DeoBazaar.com. Park Avenue Good Morning Value Pack Of 5 Shots Deodorants For Men @ Best price in India. Buy Park Avenue Good Morning Value Pack Of 5 Shots Deodorants135 ML For Men just Rs. 222/- Online From DeoBazaar.com with Best offers, discount, COD(Cash on Delivery) and Free shipping across in India. Product #: Regular price: Rs.350INR199(Sale ends 01 January ) Available from: DeoBazaar.com Condition: New In stock! Order now! A masculine high spicy fragrance for men from the house of Park Avenue, Greet every morning with confidence with this soothing and fresh deodorant, Superb long lasting fragrance provides you a defensive shield against bad body odour for upto 6 hours of application, New & improved fragrance lock technology allows fragrance to stay even in sun.